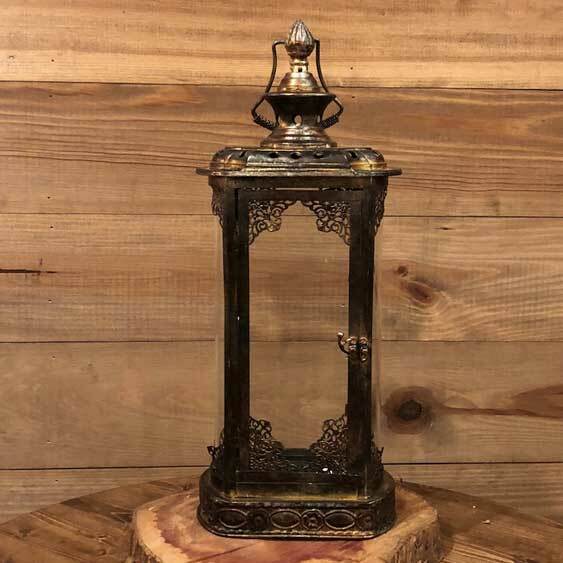 Height (Including Handle): 22 1/2"
Height (Not Including Handle): 19 1/2"
Description: The old-world charm of this Antique Gold Metal & Glass Rectangle Lantern is too stunning for words. 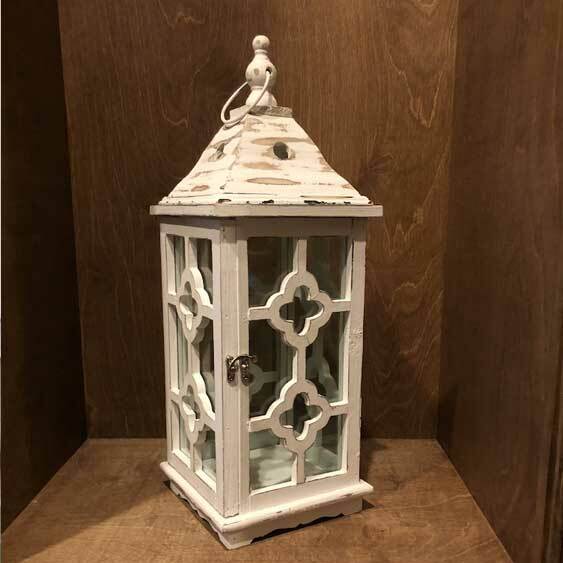 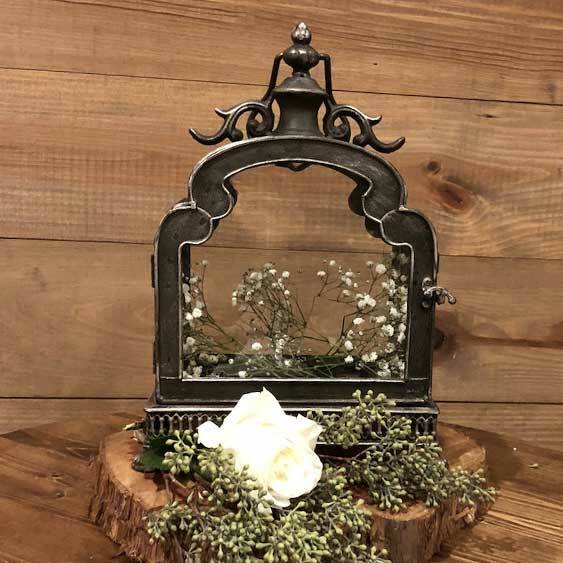 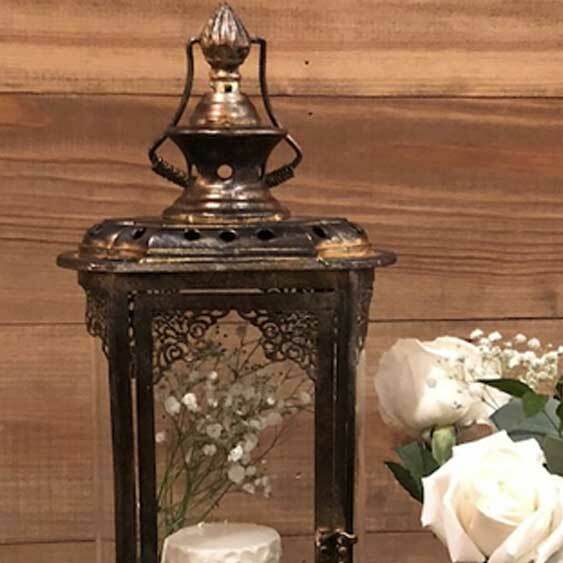 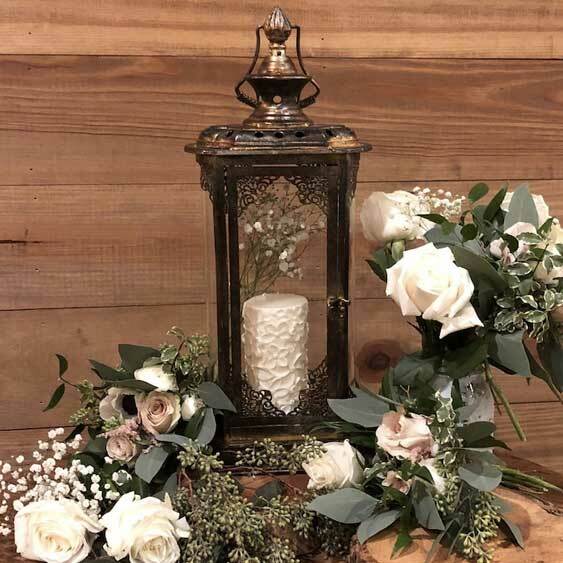 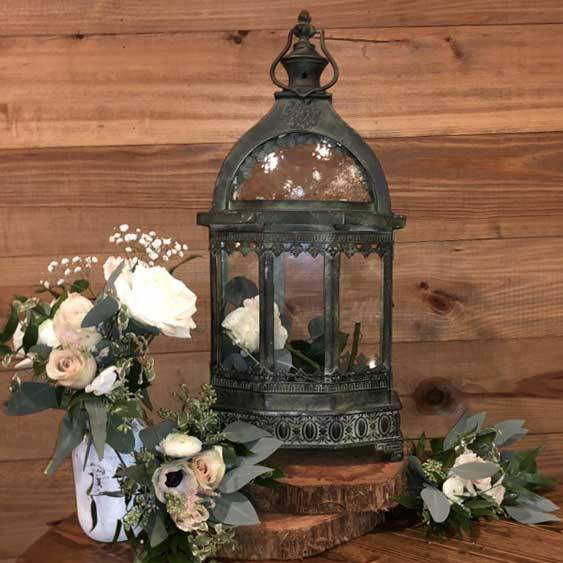 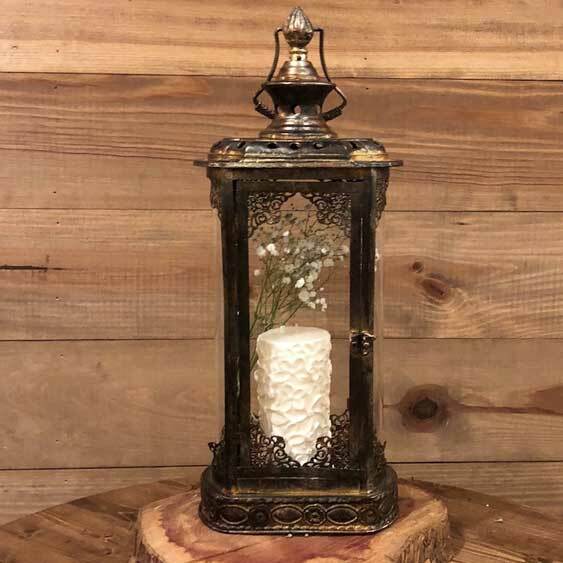 Featuring an authentically antiqued look and intricate, ornate details, this gorgeous metal and glass lantern is the perfect place to display a scented candle, an LED candle, glistening LED lights, and so much more. 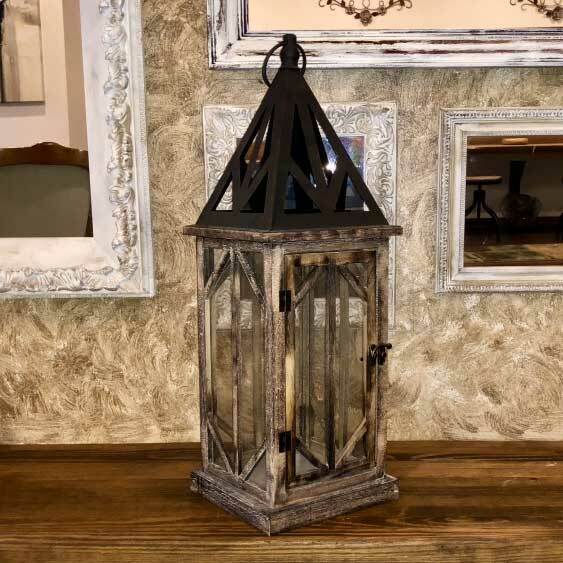 Customize your decor with stylish accents!